2. Listen to the words, repeat them, and write them in cursive script. 3. Download a practice worksheet here. 4. When you feel competent try some of the quiz exercises HERE. 5. Practice your keyboard skills. Write the Hebrew words on your computer. 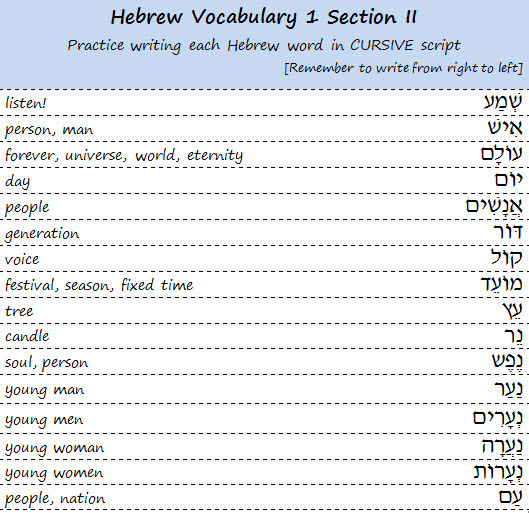 Instructions for setting up your Hebrew input keyboard are HERE.